In celebration of Joel Laguna’s keynote address at this Friday’s Tomorrow’s Teachers Conference, Project Tomorrow and Participant Media’s TEACH Campaign are pleased to offer you a chance to view the documentary online. We all have had a teacher who’s shaped us, inspired us, even scared us, and whom we can credit with having empowered us to become who we are today. To look at education in America, Davis Guggenheim brings us his third documentary “TEACH,” which asks the question, What does it take to be a teacher? Offering a rare glimpse inside four public school classrooms, Guggenheim invites us to follow the struggles and triumphs of America’s education system through the eyes, minds, and hearts of its most essential resource: teachers. Intense and emotional, this year-in-the-life of four public school teachers illustrates how tenacity, innovation, and a passion drives these educators as they navigate the ups and downs of the 2013 school year. This entry was posted in Uncategorised and tagged Davis Guggenheim, DIRECTV, Future Teachers, Joel Laguna, Participant Media, TEACH, TEACH Campaign, Tomorrow's Teachers Conference on April 16, 2015 by Lisa Chu. Exciting News! Project Tomorrow Named as Partner in 100Kin10, National Network to Grow STEM Teaching Force! 100Kin10, a multi-sector network addressing the national imperative to train 100,000 science, technology, engineering, and math (STEM) teachers by 2021, today announced that Project Tomorrow has been accepted as a partner. With a highly selective and competitive selection process, Project Tomorrow is extremely honored to be one of only 31 organizations chosen nationwide in this year’s application process. As part of 100Kin10, Project Tomorrow will recruit 2,050 excellent STEM teacher candidates, with 25% (512) from groups traditionally under-represented in STEM, in California by 2018, as measured by the number of students majoring or minoring in education and a science or math discipline. More and better-trained STEM teachers are essential to prepare America’s students to fully participate in our democracy and to understand and respond to complex national and global challenges. To compete in the global marketplace and provide opportunity to all young Americans, all students—not just those fortunate enough to attend certain schools— must have basic STEM skills and knowledge. Project Tomorrow is one of nearly 200 100Kin10 partners unified by a single, ambitious goal: to prepare all students with the high-quality STEM knowledge and skills to equip them for success in college and the workplace. Organizations are accepted as 100Kin10 partners following a rigorous vetting process conducted by a team of partner reviewers and the University of Chicago. Reviewers are looking for organizations that bring innovation, boldness, and a proven track-record to their commitment(s) toward expanding, improving, and retaining the best of the nation’s STEM teaching force, or building the 100Kin10 movement. 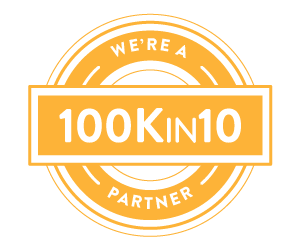 A complete list of partners—with new partners highlighted— is available on the 100Kin10 website. This entry was posted in Educators Rising California, YouthTEACH2Learn and tagged 100Kin10, California Future Educators Association, Future Teachers, STEM on January 31, 2014 by Project Tomorrow.